The Town Council employs four full time grounds staff, who maintain all the open spaces owned by the Council within the town. They maintain and mark out all sports pitches and all the play parks, maintain and water flower beds and floral displays, under take hedge and grass cutting, and carry out other works in woodlands and on Local Nature Reserves. The grounds staff also undertake regular inspections at the Council's allotment sites, playgrounds and cemetery and provide additional litter picking as required. 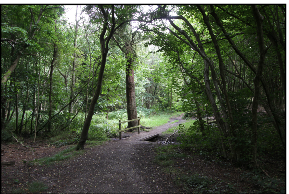 Uckfield Town Council employs a full time Ranger to look after its sites of conservation interest which include, Hempstead Meadows and West Park nature reserves, several areas of woodland and Harlands Pond. The Ranger is responsible for keeping the sites open for public access, nature conservation and public engagement. Detail on volunteer task days can be found here. The Town Council provides a number of multi-purpose bins throughout the town. The ground staff regularly empty the bins, litter pick on Town Council owned land and clean graffiti. The service aims to promote responsible disposal of litter, especially from fast-food outlets, and to work with all relevant local agencies to tackle the litter and associated problems including promoting responsible dog ownership. A FREE graffiti service is available within the boundary of Uckfield Town Council. When a report of graffiti is received, the owner of the property on which the graffiti has appeared is asked to complete an indemnity form to authorise the Council to remove the graffiti. Once the completed indemnity form is received at the Council offices, grounds staff will be asked to attend the site to assess the work required. Where the graffiti is found to be of an abusive, obscene or racist nature, staff will try to remove it within 48 hours. All other graffiti will be removed within 28 days where possible. If you would like to use this service, please click here to download a Graffiti Removal Indemnity form. As part of a partnerships scheme with East Sussex County Council, the Town Council can approach local people directly regarding problems arising from any overhanging trees, shrubs etc. from a property on to the highway or public footpaths. In the first instance, the Town Council will write to the occupier to seek your co-operation in removing the obstruction. Each week the Council receives enquiries from residents concerned about trees growing near the boundary of their property. 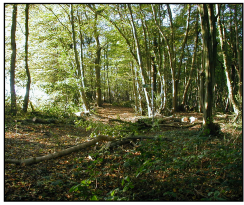 The Council has a policy (you can download the policy by clicking here) regarding trees in its ownership, which includes an intention to retain trees and woodland wherever possible. If you wish to obtain a professional assessment of the trees from an experienced and qualified tree surgeon or arboriculturist, the Council will consider such an assessment and may reassess your request. Before carrying out any work to any trees, it is up to the resident to check whether or not any Tree Preservation Orders, or other statutory protection exists. This information can be obtained from Wealden District Council. You should also inform the Town Council in writing if you intend to prune a tree in the Councils ownership. Under common law you can prune branches that over hang your boundary, but only to the boundary, providing you return the debris to the tree's owner. Unnecessary pruning can damage a healthy tree and reducing the height can be highly disfiguring and result in decay of structural parts of the tree. If you wish to exercise this Common Law right, all works must comply with British Standard 3998 recommendations for Tree Work 2010 - a copy of which can be obtained from BSI, 389 Chiswick High Road, London W4 4AL. Tel: 0208 996 7000. You can also purchase the document by clicking here.